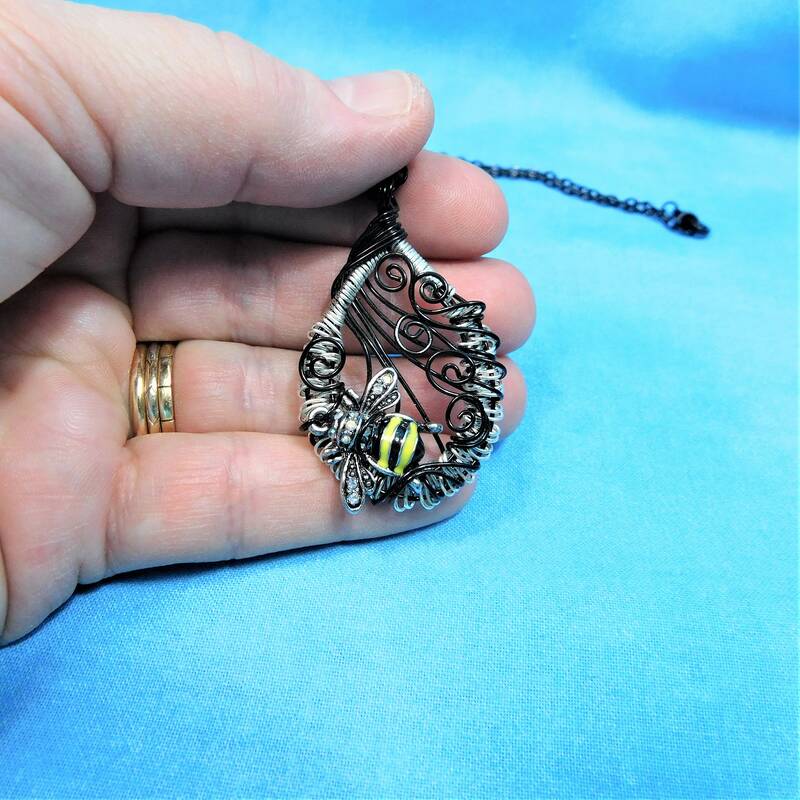 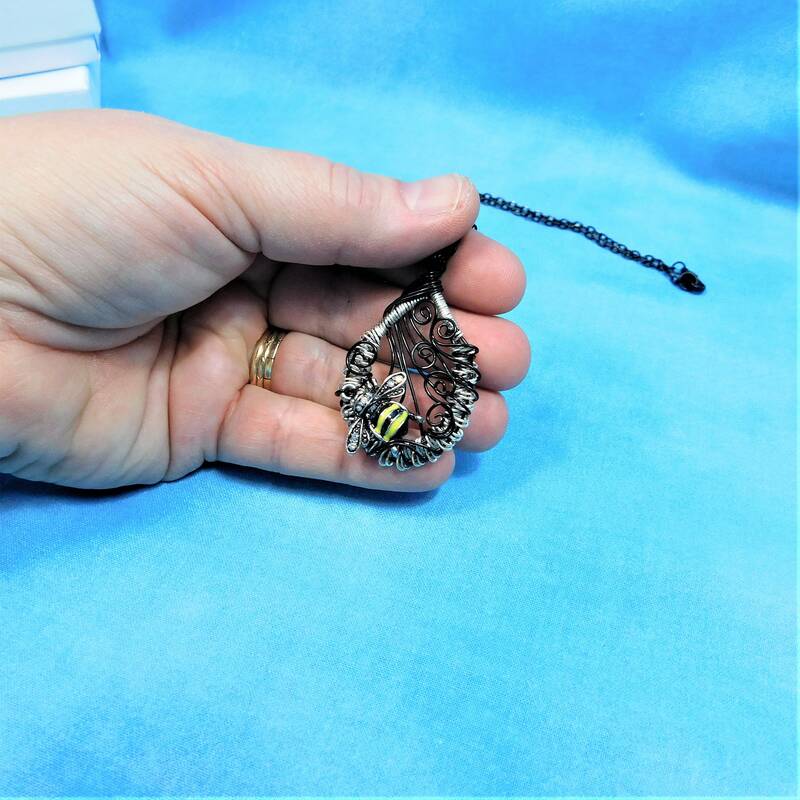 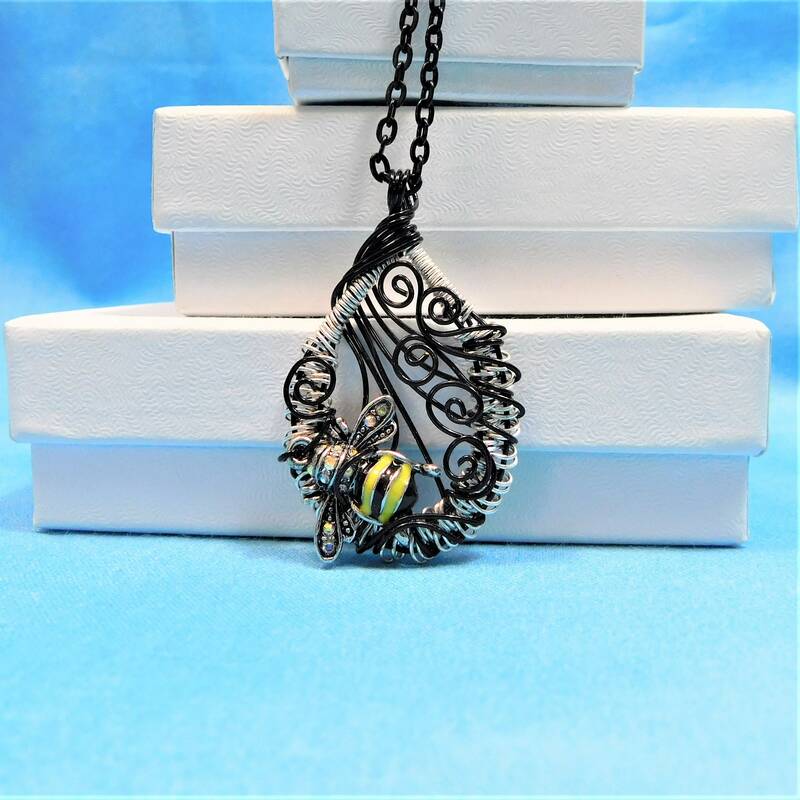 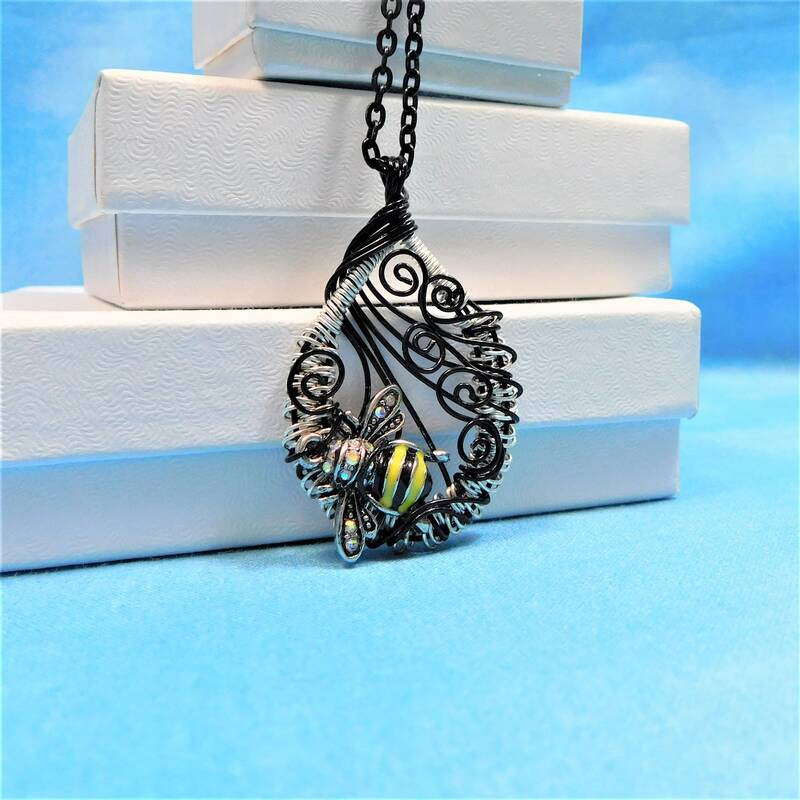 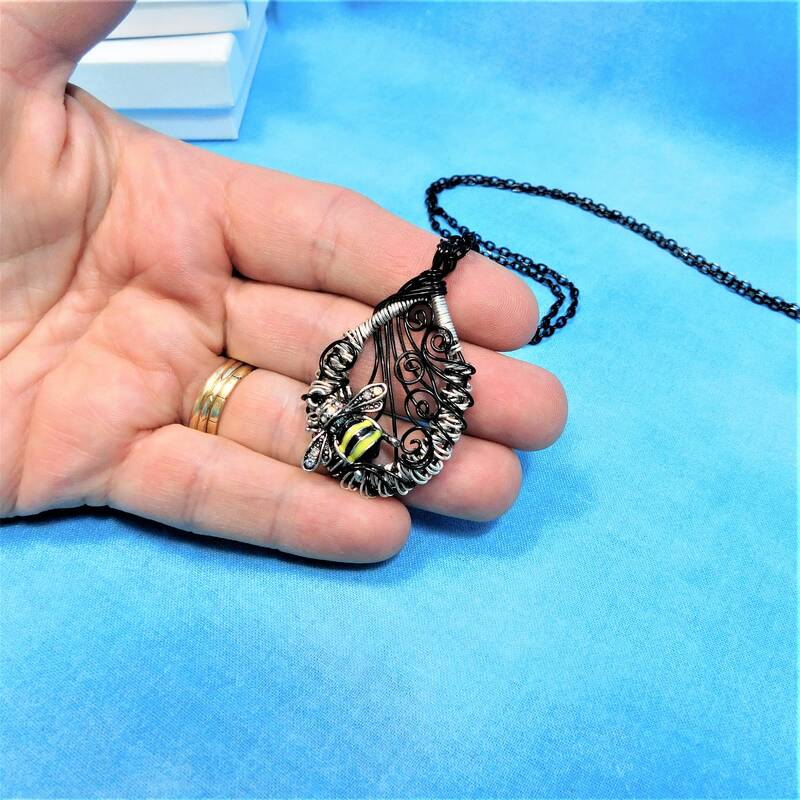 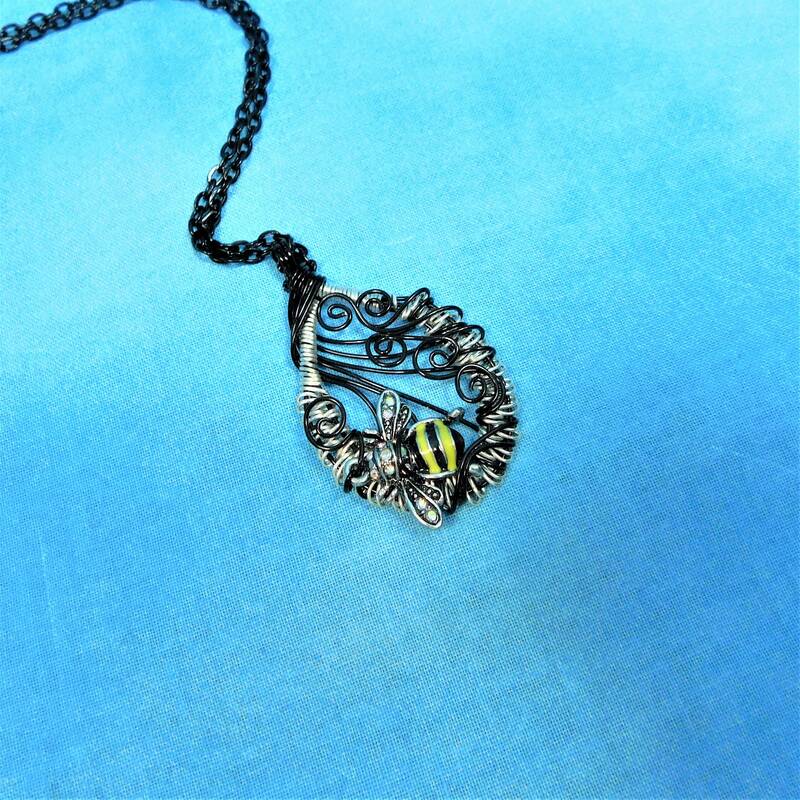 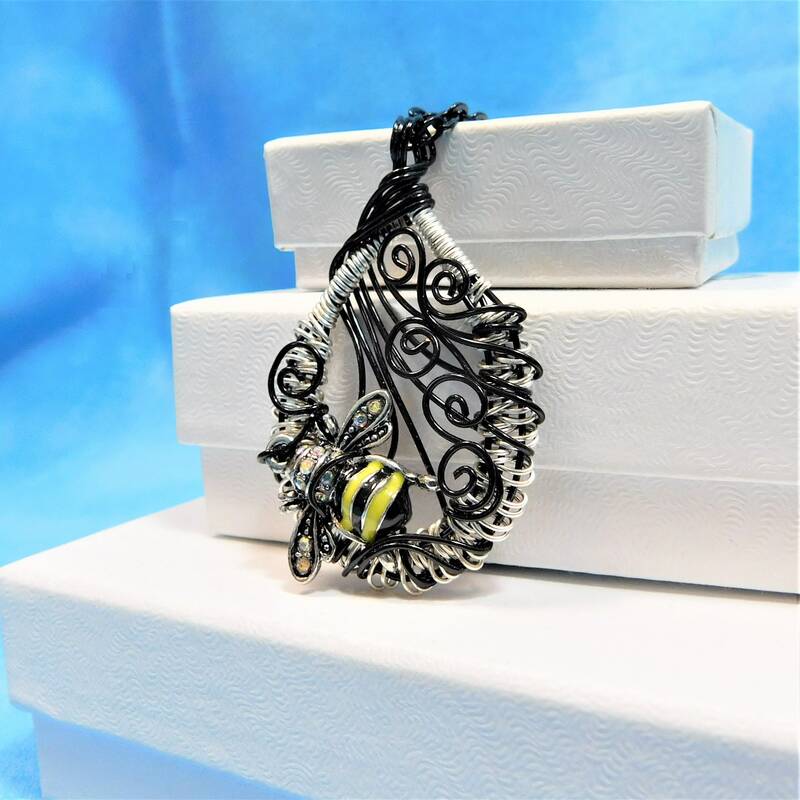 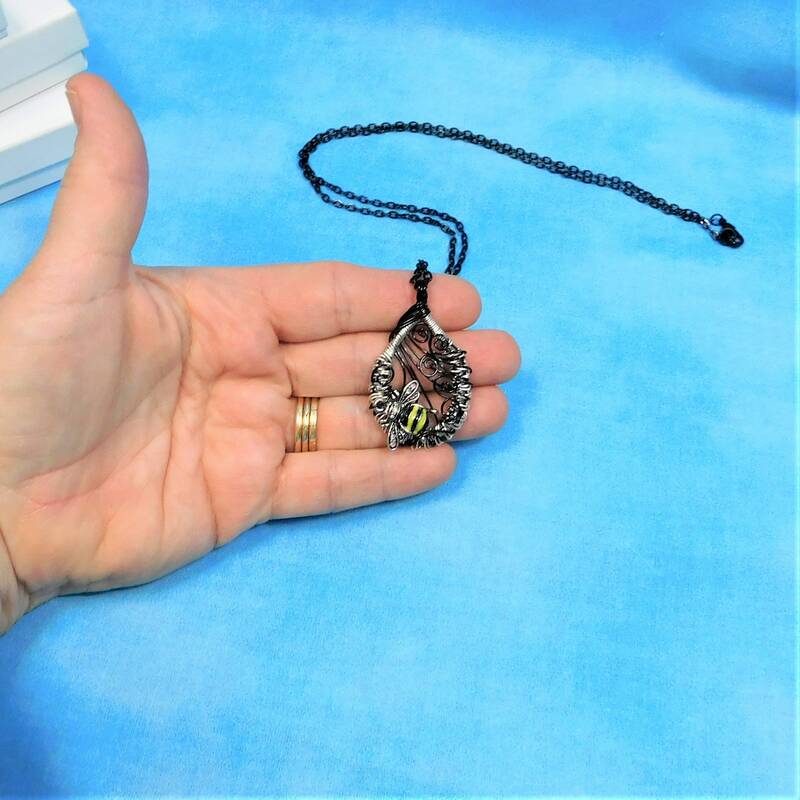 Strands of non tarnish fine silver over copper wire are meticulously hand woven with black colored copper wire to frame this whimsical enameled metal bumblebee. 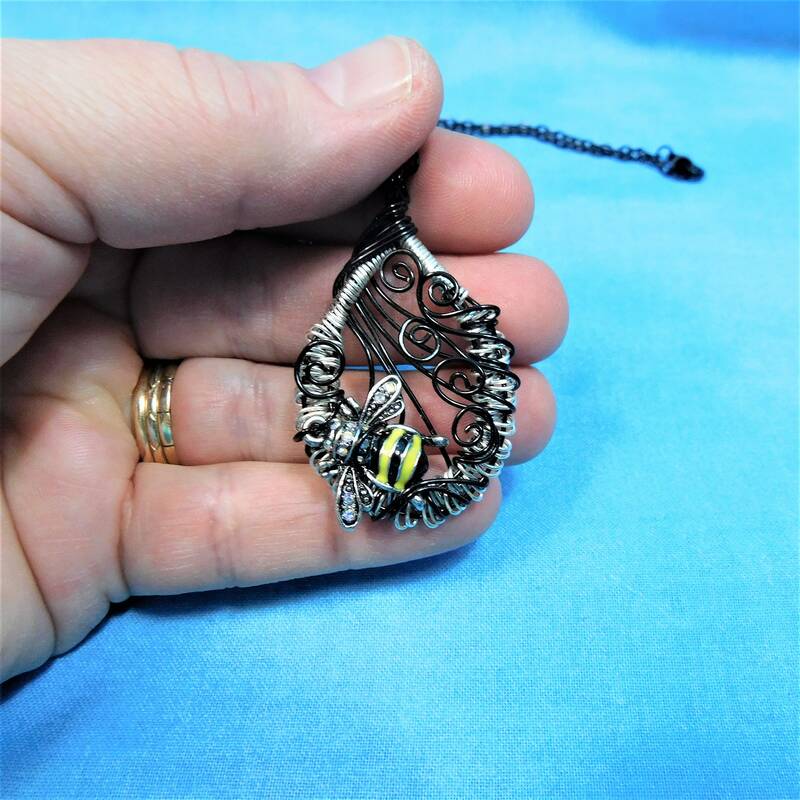 The artisan crafted pendant was created using only four individual strands of wire, pliers, and patience. 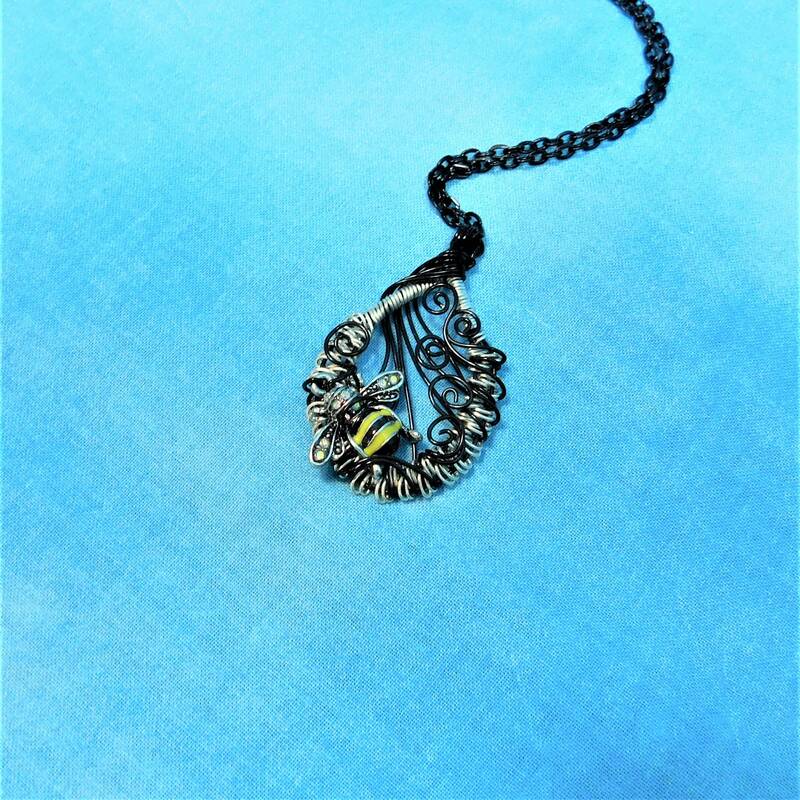 The pendant measures 1 1/2 by 1 inches and comes with a FREE coordinating chain, measured to your preferred length.